Thomas E. Patterson graduated from Illinois Wesleyan University in 1976, was a salesman for one year, and then attended law school, graduating from DePaul University in 1979. In law school, he was an editor of the Law Review and published a Note, Ex Parte Contracts in Informal Rulemaking Proceedings: Home Box Office v. FCC. 27 DePaul Law Review 489 (1978), which the administrative Law Committee of the Illinois State Bar Association reviewed as "unusually perceptive." After law school, he became a law clerk for Justice William G. Clark of the Illinois Supreme Court, where he observed the inner workings of the state’s highest court, noted winning advocacy skills, and researched and wrote memoranda for the opinions that were issued. Mr. Patterson was an associate and then equity partner in the law firm of Wildman, Harrold, Allen & Dixon. 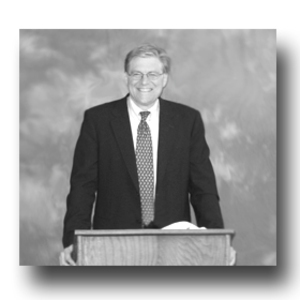 He started the Patterson Law Firm, PC on April 14, 2000. Mr. Patterson is a member of the Federal Trial Bar and is admitted to practice before the United States Supreme Court as well as the state and federal courts in the Chicago metropolitan area. As a member of the American Bar Association, the DuPage County Bar Association and the Illinois State Bar Association, he has been active on committees relevant to businesses, professionals, entrepreneurs, and the selection of judges.